County officials said they plan to discuss the possibility of reallocating the funds with state and federal agencies, according to Deputy Suffolk County Executive Peter Scully. Suffolk’s local government leaders are scrambling for $26.4 million in state sewer money a day after Great River residents voted down a proposal to use the money. Residents in Mastic and Babylon Tuesday overwhelmingly approved $331 million worth of sewer projects that would cover 6,500 homes and be funded by federal and state grants. Voters in Great River voted down the proposal to connect 474 parcels along the Connetquot River. Brookhaven Town Supervisor Edward P. Romaine on Wednesday urged Gov. Andrew M. Cuomo to redirect the Connetquot money toward funding the rest of the town’s sewer plan. Voters approved a $191 million referendum to fund a new sewer district in the Mastic and Shirley area along with build a sewage treatment plant at Brookhaven Calabro Airport -- but that's only two of the four phases of the town's planned expansion. “Let’s reallocate it towards Mastic,” Romaine said in an interview. Questions to Cuomo’s office were referred to the state Department of Environmental Conservation. The approved sewer expansions are expected to start next year. Romaine also called on Suffolk County Executive Steve Bellone to assist in redirecting the funds to Brookhaven. County officials said they plan to discuss the possibility of reallocating the funds with the Governor’s Office of Storm Recovery and federal agencies, according to Deputy Suffolk County Executive Peter Scully. Any reallocation will have to meet state and federal standards. Babylon voters approved a $140.2 million project to connect 2,847 residential parcels to the Southwest Sewer District. Babylon Town Supervisor Rich Schaffer said he plans to send a letter to county officials asking that the Great River money be dedicated to expanding the sewer system in parts of the town. 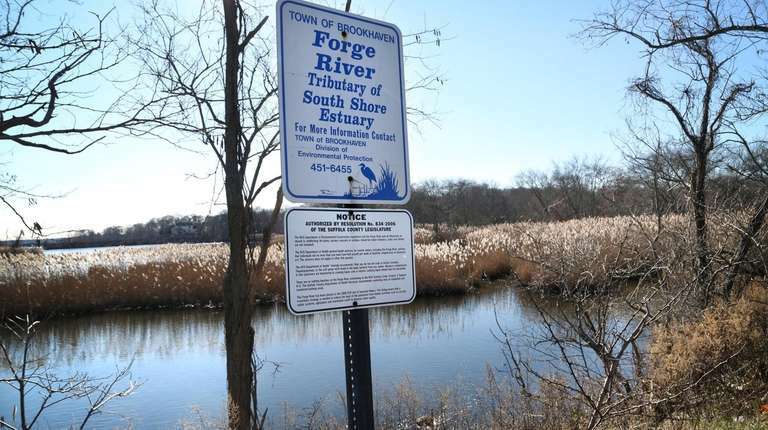 Between $18 million and $25 million in state and federal funding has already been earmarked to sewer 550 homes in South Patchogue, a project scheduled to start this summer. Patchogue residents did not vote on that plan Tuesday. Still, Patchogue Mayor Paul Pontieri made the case for his village to receive the Great River funds. He said on Wednesday that the additional money could help expand the village waste water treatment facility, which has the capacity to process 800,000 gallons of waste per day. The mayor would like to expand the facility so that it moves 1.2 million gallons per day. Scully declined to address specific requests for the money. “I am aware of numerous other inquiries from elected officials who would like to see the funding repurposed for projects in their jurisdictions,” Scully said in a statement. Construction and planning of the projects is funded through the grants, but residents in the sewer districts will pay a tax for ongoing operations and maintenance. Annual sewer district taxes in Mastic and Babylon are estimated at about $470 and $532, respectively. It would have been $755 annually for the Great River project. Islip Councilman James O’Connor, a resident of Great River since 2004, added his signature to a mailer pleading with residents to vote yes on the referendum. Brookhaven officials said the approved referendum will positively impact future businesses and the environment. “Normally, the cesspool waste would travel underground and reach the Forge River or Moriches Bay, so nitrogen contaminates should drop very quickly over the next few years,” Romaine said. "I think what you're going to see is the quality of water in the [Great South] bay almost change immediately," Pontieri said. Two out of three Suffolk communities OK sewersThe $360 million worth of approved sewer expansions will cover 6,500 homes in two communities. Construction is expected to start next year.